What exactly is the Archaeological Institute of America—the AIA—and why should you be a part of it? 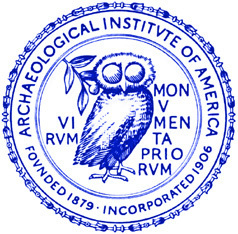 Founded in 1879 and chartered by Congress in 1906, the AIA is North America’s oldest and largest archaeological organization. It includes among its members professional archaeologists, students, and people from all walks of life—people like you—all of whom share a passion for understanding the human past. Today, the AIA has 108 societies throughout the U.S., Canada, and Europe which host lectures (like this one) on the latest archaeological discoveries. To promote new research we provide fellowships for young scholars, and fieldwork scholarships for undergraduates, and grants to promote archaeological publications; we organize an Annual Meeting at which the results of the latest research are presented and discussed, and publish the highly respected American Journal of Archaeology. To reach the public, we produce the outstanding Archaeology magazine that many of you subscribe to, and the Archaeology website, www.archaeology.org, with exclusive features and reviews, daily archaeological headlines from around the world, and our Interactive Digs, which actually take you into the field. Our other outreach programs include archaeological tours led by experts to all corners of the globe, and lectures on Near Eastern archaeology to troops en route to Iraq and Afghanistan. Our Outreach & Education Department is working with AIA Societies to expand public awareness through archaeology fairs, workshops and other events. As you know, the AIA has long been a powerful voice against looting and the illicit trade in undocumented antiquities, and for the preservation of archaeological sites, monuments, and artifacts. The East Tennessee Society was founded in 1973 as our local chapter of the Archaeological Institute of America. Our organization promotes the knowledge and study of, as well as interest in, archaeology and related subjects, and furthers the aims and programs of the Archaeological Institute of America. Click here for more information about the Archaeological Institute of America East Tennessee Society. You may join the AIA as a life member, yearly member, or student member. Student membership is reasonably priced at $25, including subscription to Archaeology magazine. A membership allows you to apply for all of our fellowships as well as study and excavation grants. It also gives you a powerful networking forum with those in your field. To learn more about all of our exciting programs and initiatives, and more benefits of membership, please visit our website, www.archaeological.org, and consider joining. Your tax-deductible membership contribution will support our mission, and your voice, added to ours, will help us play a vital role in the discovery and preservation of the past. Student membership is encouraged for their professional development and exposure to current research at an international level. All lectures are illustrated, and all are FREE and OPEN TO THE PUBLIC. They are presented in the auditorium of the Frank H. McClung Museum, unless otherwise scheduled. Updated schedules are also available through AIA’s East Tennesse Society website.